In her new book Farmer Jane: Women Changing the Way We Eat, Temra Costa articulates what many of us have long suspected: that women are the driving force behind sustainable food. 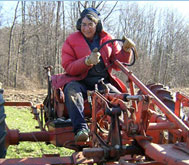 As Costa writes in the book’s introduction, women are “becoming the fastest growing number of diversified farmers in the country, controlling the majority of household spending, dominating nonprofits dedicated to shifting the balance from conventional to sustainable foods, and creating menus and businesses that reflect their socio-environmental values.” To celebrate this renaissance, she profiled over 30 women from around the country. The book highlights some well known pioneers such as Growing Power’s Ericka Allen, chef and cookbook author Deborah Madison, and urban farmer Novella Carpenter, but also introduces readers to lesser-known heroines of the movement like Glenda Humiston, an outspoken advocate for water conservation in California and a former undersecretary at the USDA. Costa spoke with CUESA recently about the book, women’s roles, and their reluctance to take the stage. CUESA: Why did you want to focus on women? CUESA: What was your experience putting together this book? Some see feminism and slow/sustainable food production as at odds with one another. Are the women in your book femivores? There is a conflict between the feminist perspective and the re-localization of food because ultimately it means that you’re going to need to spend more time growing and processing food again. So there is a conundrum. But what Shannon Hayes says really well in her book Radical Homemakers is that men and women should be (and are) both doing this. When we left the home to work, it was to pay for goods that we could no longer make ourselves. I feel like men and women can both go back to taking more time and more care with their food. But women are still paid less than men (around 75 cents on the dollar), and if only one partner is going to work outside the home, you have to choose the who has the most earning power. So the truth is that, more often than not, women are going to be doing the food-related work. You’ve worked in this area and you share a lot of the perspectives with the folks in this book. What shifted about your perspective while you were writing it? I have been becoming more aware of the importance of labor issues on farms. After leaving CAFF I also farmed through the WOOF program for a little while in Europe. I felt just a smidge of what it must be like to be a farm worker who’s exploited when I was treated poorly on several farms – and by farmers who were biodynamic, super groovy, and had won awards. So that brought it home. Learning Mily Treviño-Sauceda’s story really shocked me. 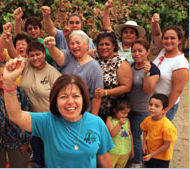 [Treviño-Sauceda is the co-founder of Líderes Campesinas, an organization that builds leadership among farm worker women]. She told stories of working as a migrant worker alongside her parents as early as age eight. And that kind of thing still happens in this country! But it’s such a deep issue because our farmers are pitted against China, South America, Africa, all these countries with lower environmental and labor standards. But people come here to look for work — and families bring their kids to work with them. It just made me more aware of how complex the issue is in a new way. Temra Costa will be appearing at the Ferry Building along with Sarajane Snyder from Green Gulch Farm and Il Cane Rosso’s Chef Lauren Kiino for the next CUESA/Kitchen Table Talks collaborative event. They will delve into a discussion of women’s work that will touch on the joy of being in the dirt and the ways women juggle food, home, family, and community. 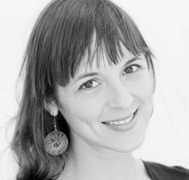 Slow Food SF president Dava Guthmiller will moderate.